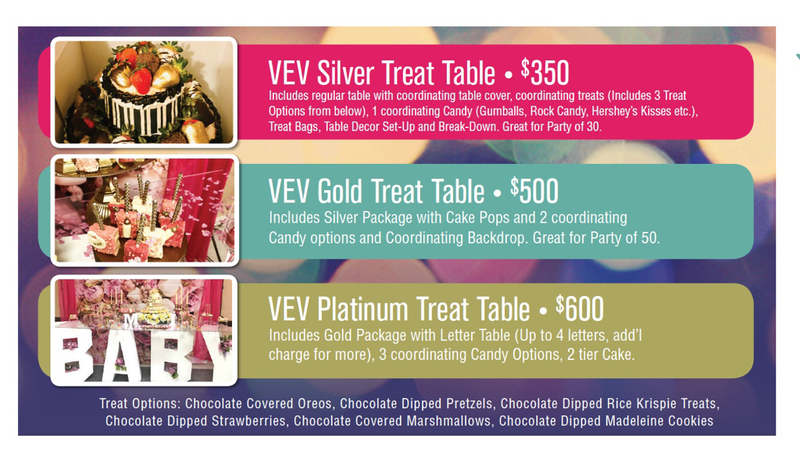 We can create a treat table based on your theme and color choices with the affordable packages below. Or simply inquire about our “A la Cartè” services that can be done based on your budget. Contact us to discuss your custom treat table.